This Friday you’ll have a chance to cop Martin Ontiveros x ToyArtGallery GLAMPYRE Steel Gray Edition! The bloodsucker is back and he can spell your bloody veins bulging as you get ready to hit that F5 refresh button. 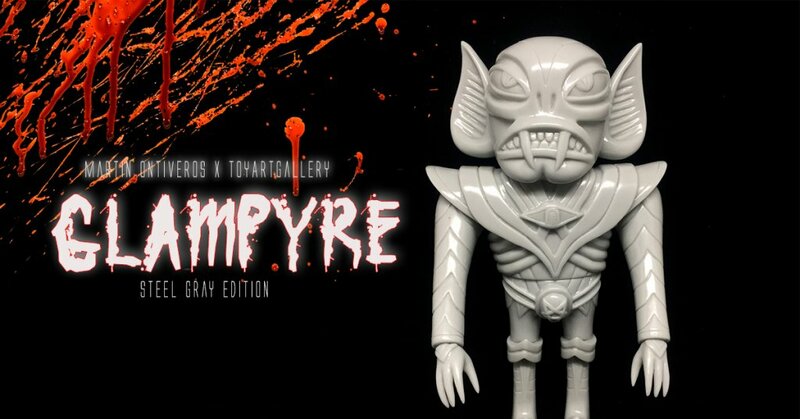 Toy Art Gallery is proud to present a new edition of Martin Ontiveros’ GLAMPYRE! This bloodsucker is ready to rock out in his best shoulder pads and platform shoes! The Glampyre stands 8 inches tall, features articulation at the head, arms, wrists, waist, and boots, and a detailed sculpt in Martin Ontiveros’ signature style. The STEEL GRAY Edition is cast in a lustrous gray soft vinyl! The GLAMPYRE Steel Gray Edition is available Friday,16th March 2018 at 12PM PST for $75, only at shop.toyartgallery.com!